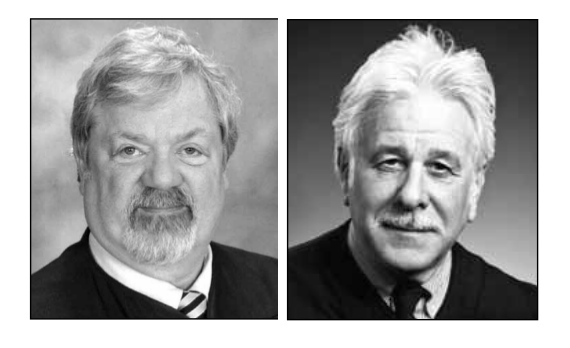 Two Juneau judges are retiring this summer, but it’s unclear if applications will be immediately accepted for both seats or just one. The Alaska Court System hopes to upgrade one of the seats at the Dimond Courthouse to deal with increases in serious criminal and civil cases. Juneau District Court Judge Thomas Nave is retiring at the end of June. He was appointed to the bench in 2010. Doug Wooliver, deputy administrative director for the Alaska Court System, said they’re proposing legislation to upgrade that position to another Superior Court seat. Money for the additional salary and benefits, about $35,000 a year, would come from previous cost savings. The new judge will share staff with the two other Superior Court judges already working there. Superior Court cases are bottlenecked at the Dimond Courthouse, Wooliver said. The other District Court seat currently is held by Judge Kirsten Swanson. Wooliver said the new Superior Court judge could step in anytime as a District Court judge. The new judge could also preside over cases in other communities as the need arises. After nearly seven years on the bench, Juneau Superior Court Judge Louis Menendez also is retiring June 29, the same day as Judge Nave. DiPietro said they’re accepting applications from anyone who’s worked as a lawyer in Alaska for the past five years. A wide range of experience in criminal and civil law in Alaska is ideal, but not required. Applications are due by Feb. 2. The council will do background checks on all of the applicants, and send a survey out to all Alaska attorneys asking them to comment on each applicant’s qualifications. The council will meet in Juneau to interview applicants and hold a public hearing before selecting at least two nominees. Gov. Bill Walker will then have 45 days to appoint someone to the bench.